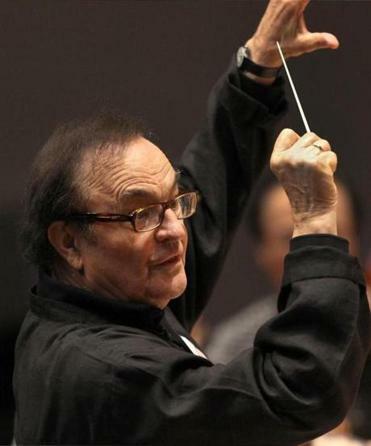 Conductor Charles Dutoit rehearsed with the Boston Symphony Orchestra in 2012. A former intern says that acclaimed Boston Symphony Orchestra guest conductor Charles Dutoit sexually assaulted her at Tanglewood 20 years ago, the first accusation against Dutoit that points to alleged behavior while he was working with the BSO. The orchestra has since launched an investigation. Fiona Allan, who now runs one of England’s most popular theaters, said she was working as an intern at the Tanglewood music festival during the summer of 1997 when she entered Dutoit’s dressing room alone to deliver some papers. Within a couple of minutes, she said, Dutoit began groping her. In a statement to the Globe on Monday, the BSO said it is investigating the matter. Allan is one of several women to accuse the Swiss-born conductor of sexual improprieties. Her account bears remarkable similarities to those of four women who last month told the Associated Press the conductor had sexually assaulted them in various cities between 1985 and 2010, allegations that include forcible kissing, groping, and, in one instance, shoving a woman’s hand down his pants. Dutoit was one of the BSO’s most frequent guest conductors, leading the BSO as early as 1981 and as recently as October. The BSO has since severed its relationship with him. In addition to the BSO, a number of orchestras have hastened to distance themselves from the 81-year-old Dutoit since the allegations surfaced. Orchestras in Chicago, New York, and Cleveland announced last month that he had bowed out of future performances, while orchestras in San Francisco, Sydney, and Philadelphia said they were severing relationships with him. Allan, who was 30 at the time of the alleged incident, is an Australian native who was at Tanglewood as part of a fellowship to study advanced performance training. As part of her Tanglewood duties, she said, she would routinely bring musical scores and other documents to visiting conductors or soloists’ dressing rooms. Allan said Dutoit had only recently arrived at Tanglewood for summer performances when he allegedly groped her. She said she “sort of ducked around him,” quickly fleeing his chamber. Upon leaving Dutoit’s dressing room, Allan said, she immediately encountered then-BSO orchestra manager Ray Wellbaum in a corridor, and he warned her not to meet Dutoit alone. “I said, ‘Well Ray, I think it’s too late, because I just did, and I think I know why you’re telling me that,’ ” she recalled. Fiona Allan, artistic director and chief executive of the Birmingham Hippodrome. Allan, who now serves as artistic director and chief executive at the Birmingham Hippodrome and is also president of the UK Theatre Association, said she did not inform anyone else about the alleged incident at the time. In subsequent years, however, she said she told friends and associates, including Chris Stafford, who succeeded her as CEO of the Curve theater in Leicester, England. When contacted by the Globe, Stafford confirmed that Allan had told him about the alleged incident a few years ago. Wellbaum, who retired as full-time BSO orchestra manager at the end of 2016 and now holds the BSO title of adviser to the managing director, referred the Globe to the orchestra’s press office. In its statement, the BSO did not respond directly to a question about whether BSO administrators were in the habit of warning women against visiting Dutoit alone. Dutoit is the second high-profile conductor with whom the BSO has severed ties following allegations of sexual misconduct. The symphony distanced itself from former BSO music director James Levine last month after four men accused the conductor of sexual improprieties decades ago. Malcolm Gay can be reached at malcolm.gay@globe.com. Follow him on Twitter at @malcolmgay. Rebecca Ostriker can be reached at ostriker@globe.com. Follow her on Twitter @GlobeOstriker.